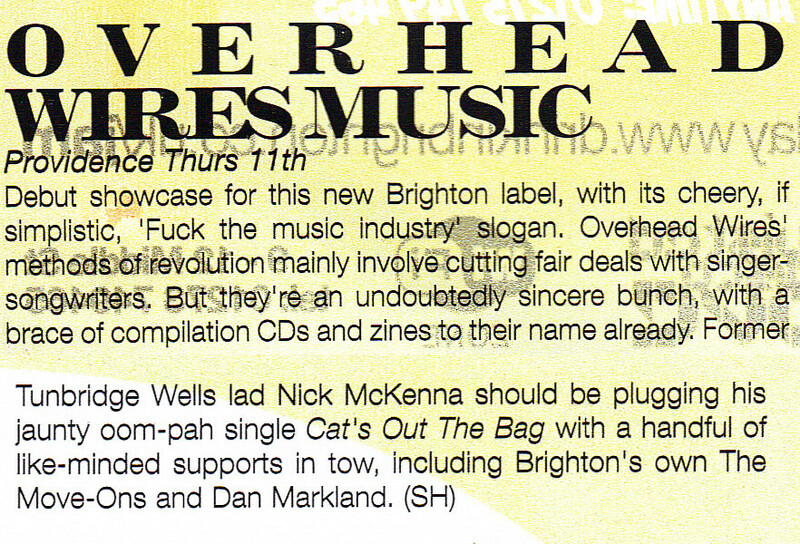 Referenced as part of Brighton's music culture (under "The Brunswick"). 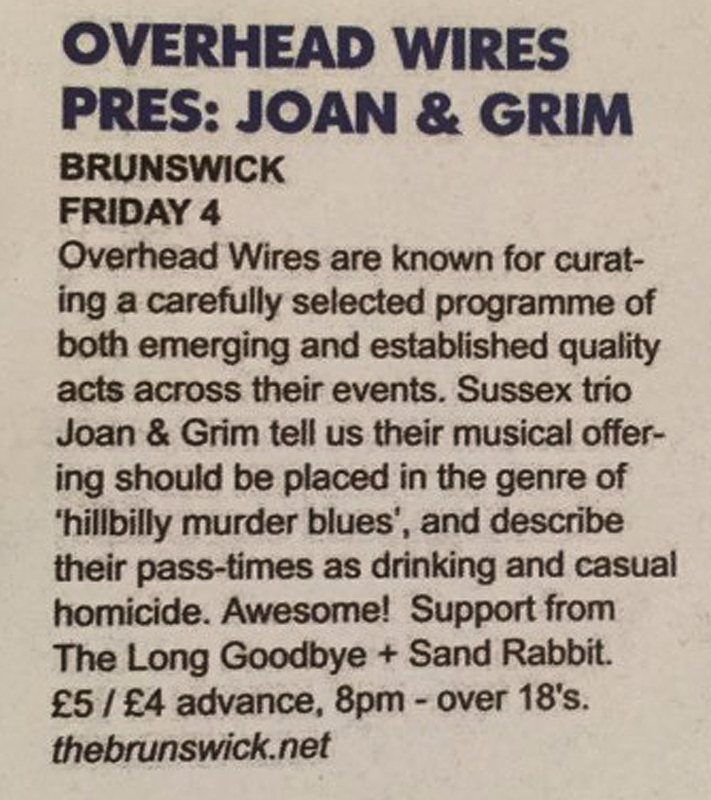 Preview of Joan & Grim gig at The Brunswick. 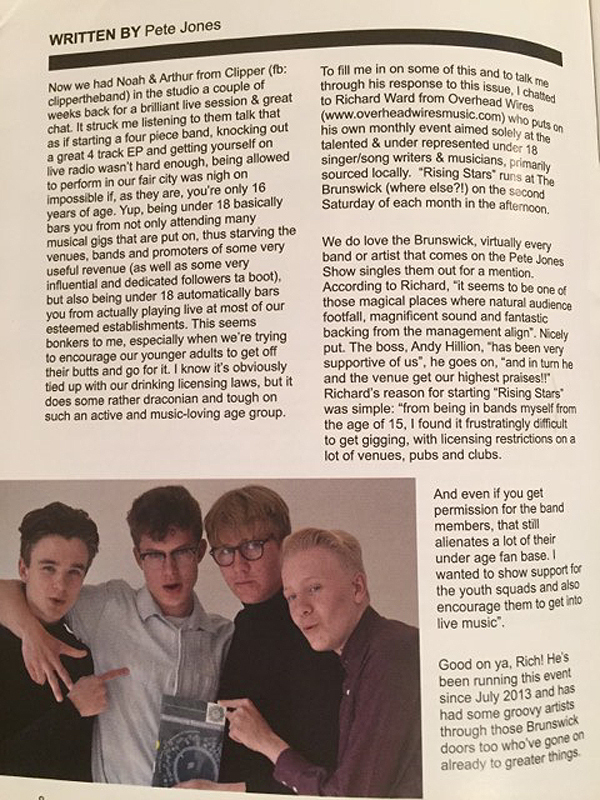 Review of "Rising Stars" and chat with Richard Ward. Preview of "Under Great Southern Lights" at The Brunswick. 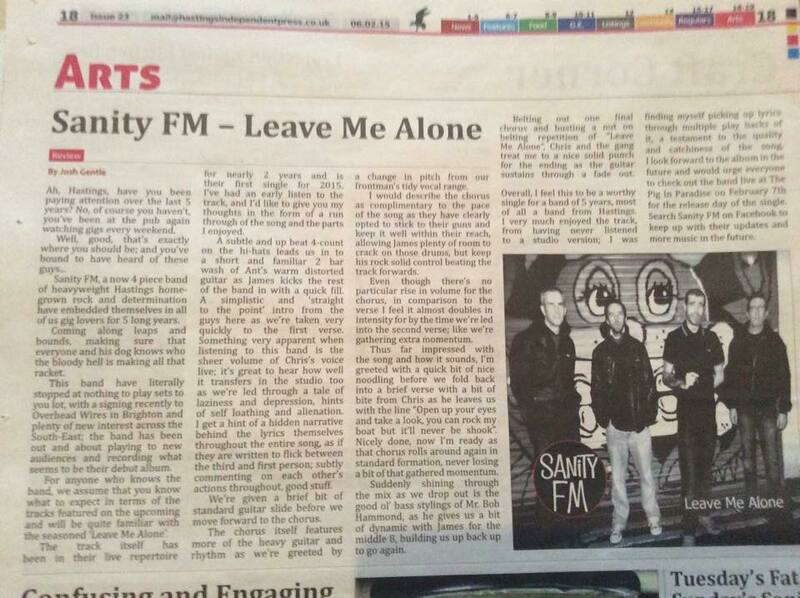 Preview of Sanity FM's "Leave Me Alone" single. 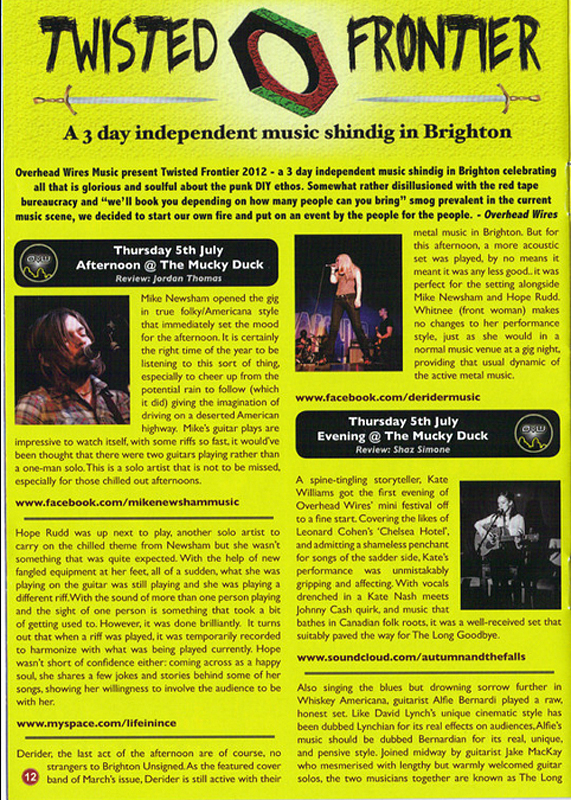 Review of "Dirty Fingernails" at The Brunswick. 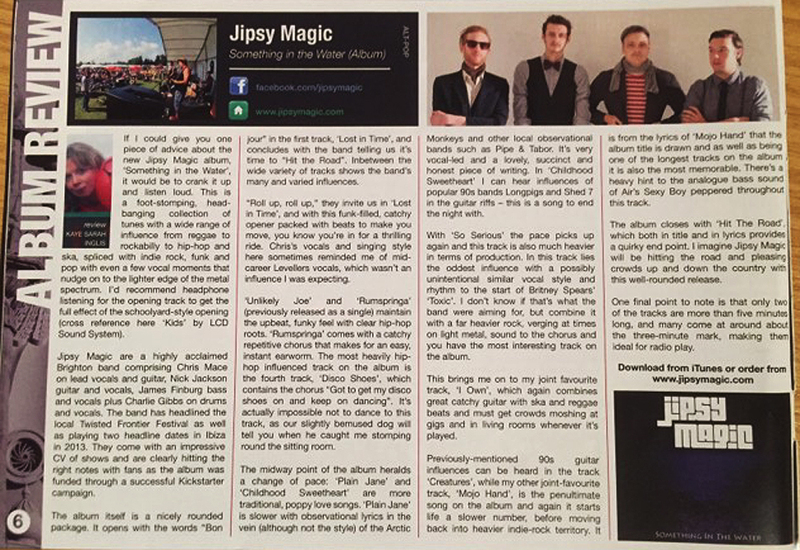 Album review of "Something In The Water" by Jipsy Magic. 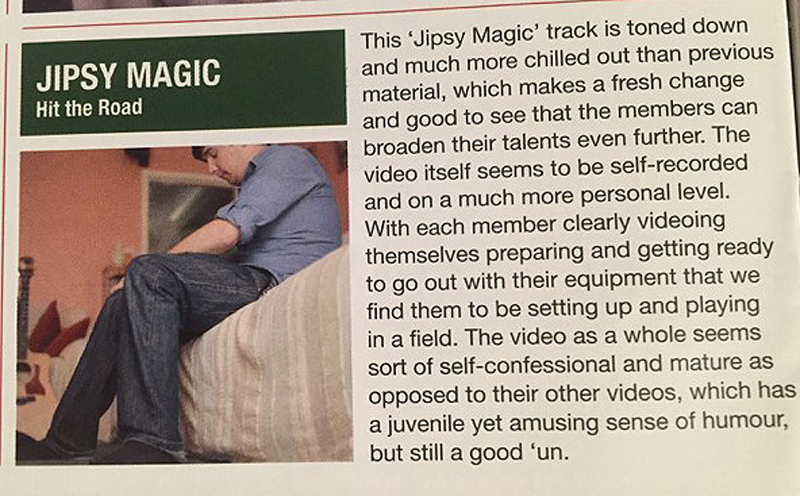 Review of the video for "Hit The Road" by Jipsy Magic. 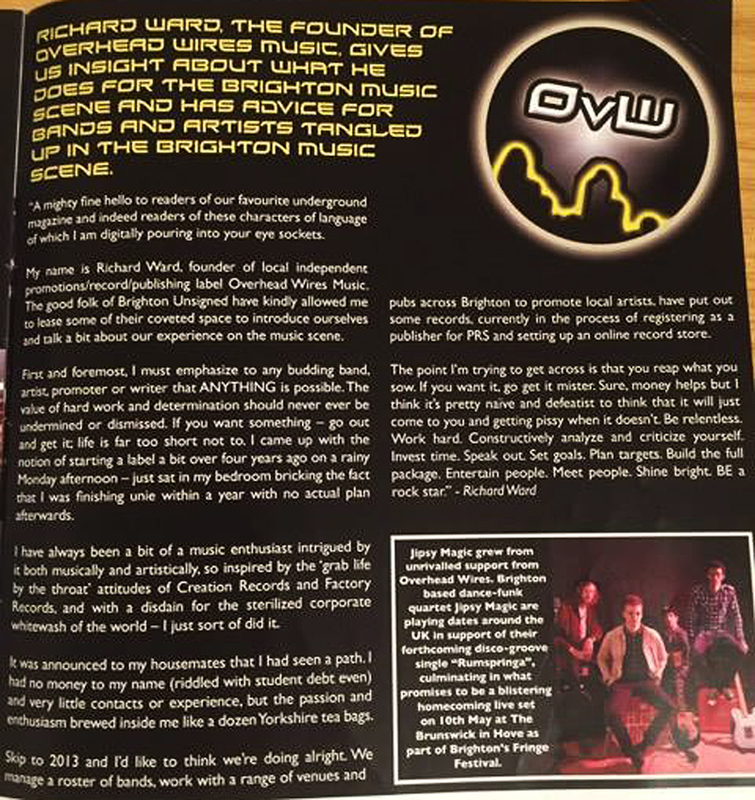 Interview with Richard Ward on our general background promoting gigs. 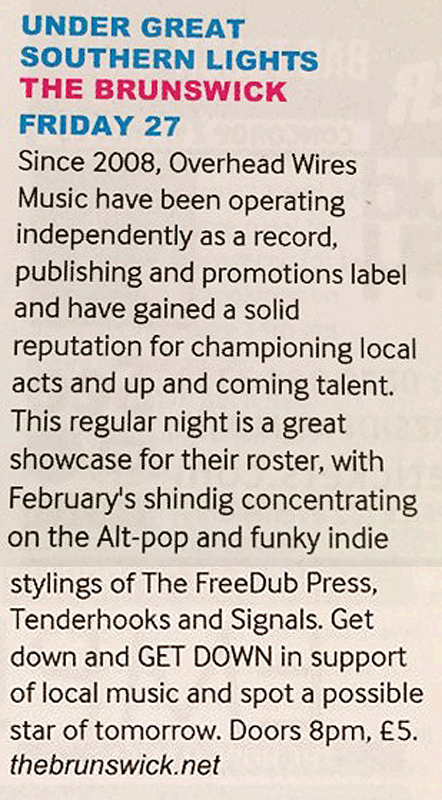 Review of "Electrobash" at Latest Music Bar. Preview of "Electrobash" at Latest Music Bar. 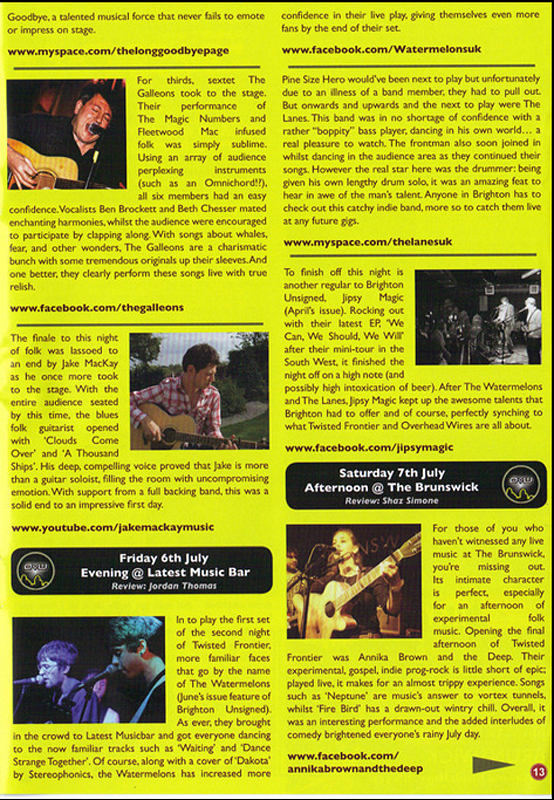 Review of "The Acoustic Proms" at The Dukebox Theatre. 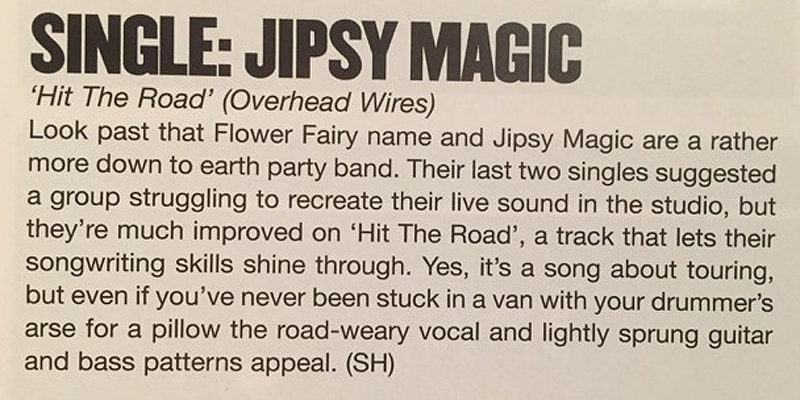 Review of "Hit The Road" single by Jipsy Magic. 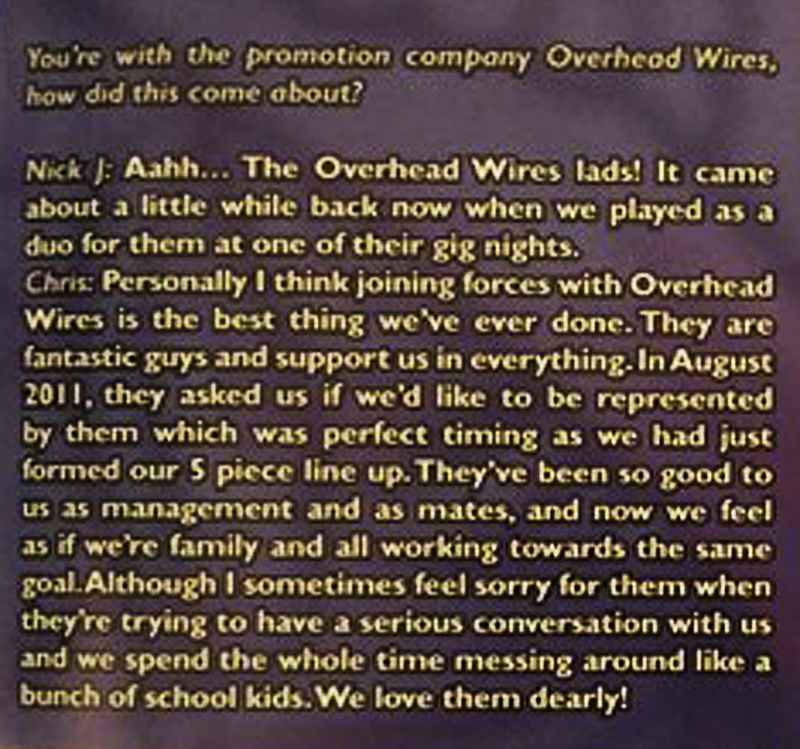 Insight into the beginnings and workings of Overhead Wires Music. 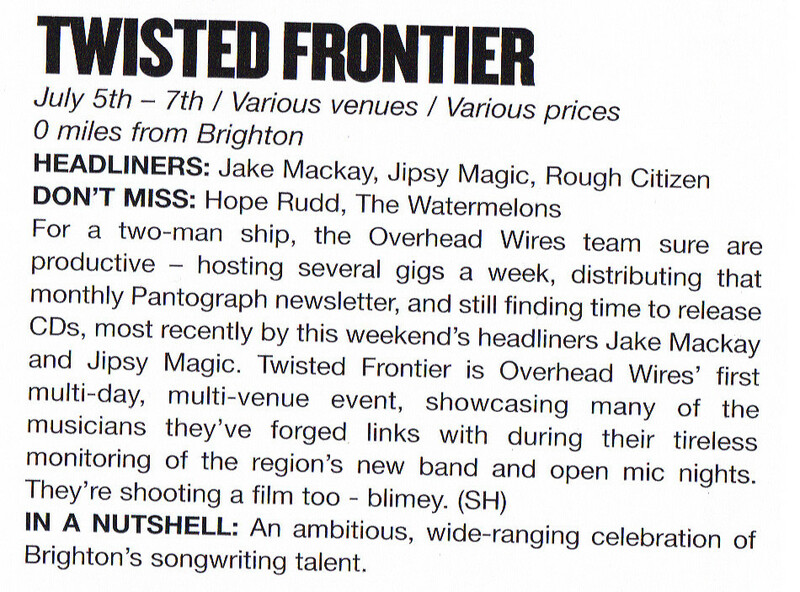 Review of each of the gigs at "Twisted Frontier 2012". Articles by Jordan Thomas, Shaz Simone and Bryan Williamson. Preview of "Twisted Frontier 2012". 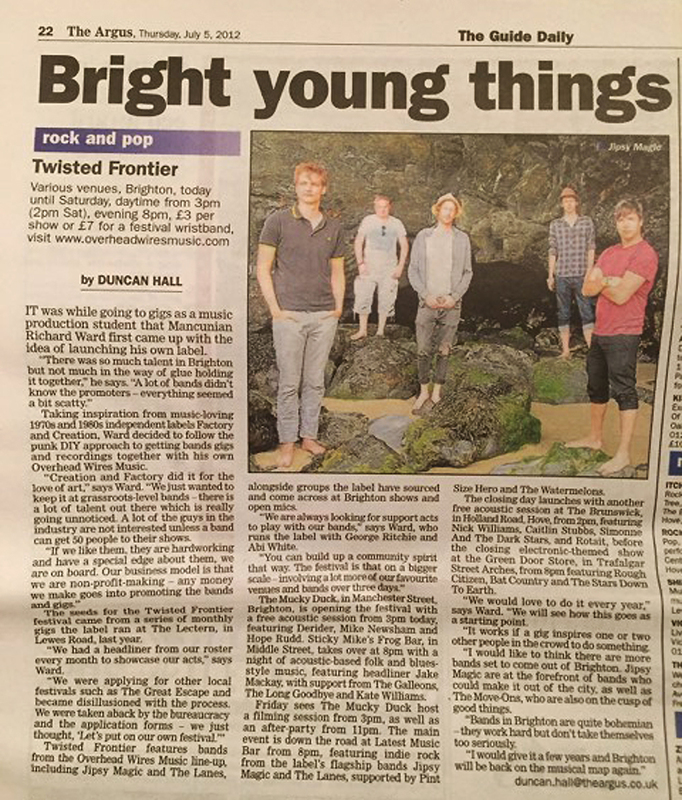 Interview with Richard Ward for a preview of "Twisted Frontier 2012". 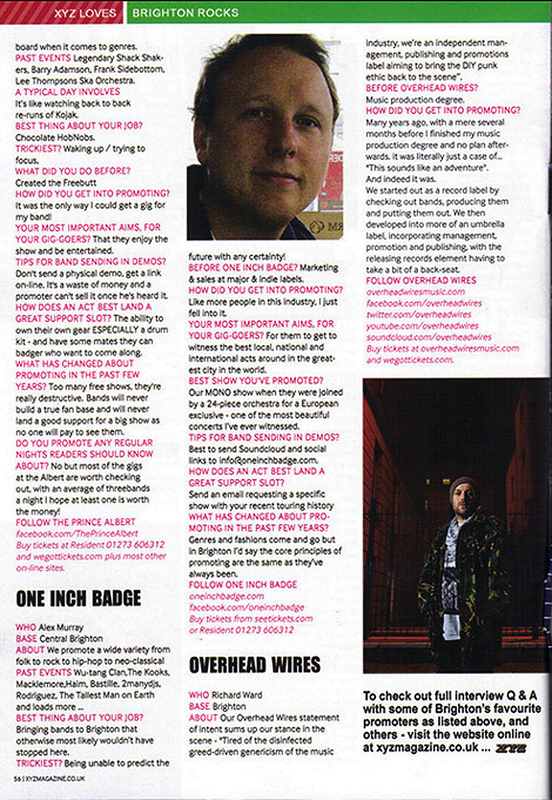 Review of "Clouds Come Over" single by Jake Mackay. 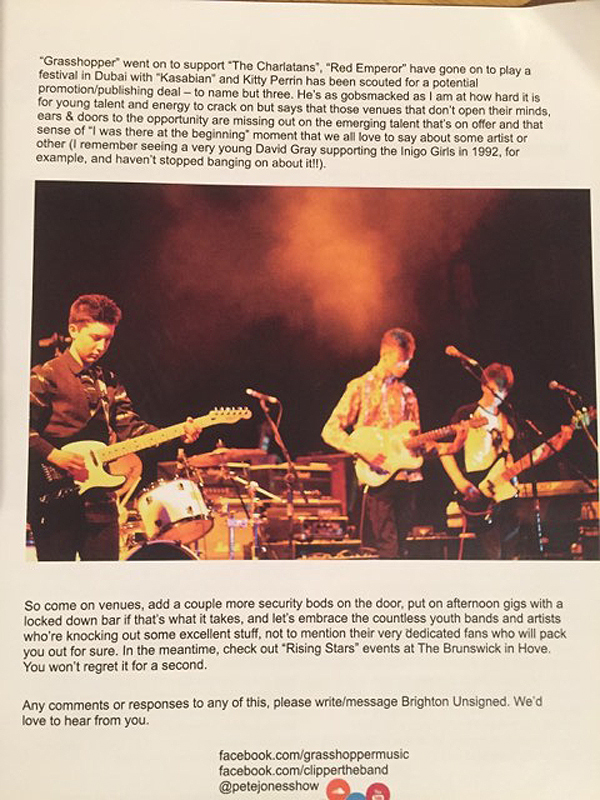 Review of the video for "Girls In The City" by Jipsy Magic. 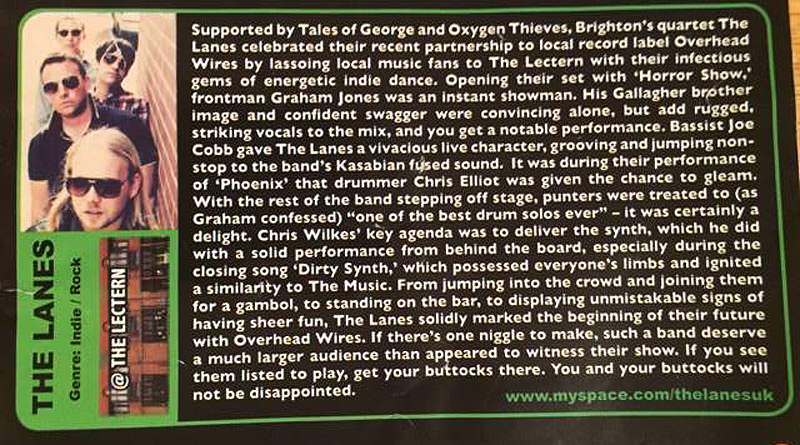 Review of The Lanes gig at The Lectern. Mention by Jipsy Magic in regards to our partnership. 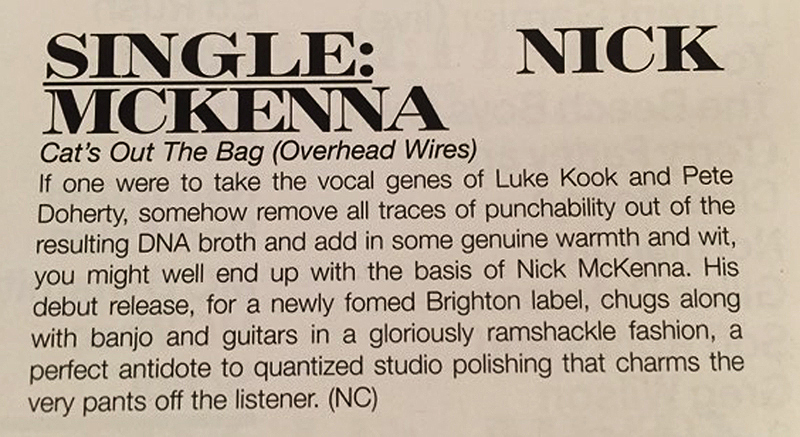 Review of Jake Mackay's album launch at Sticky Mike's Frog Bar. Review of "Fractured Toast" at The Quadrant. 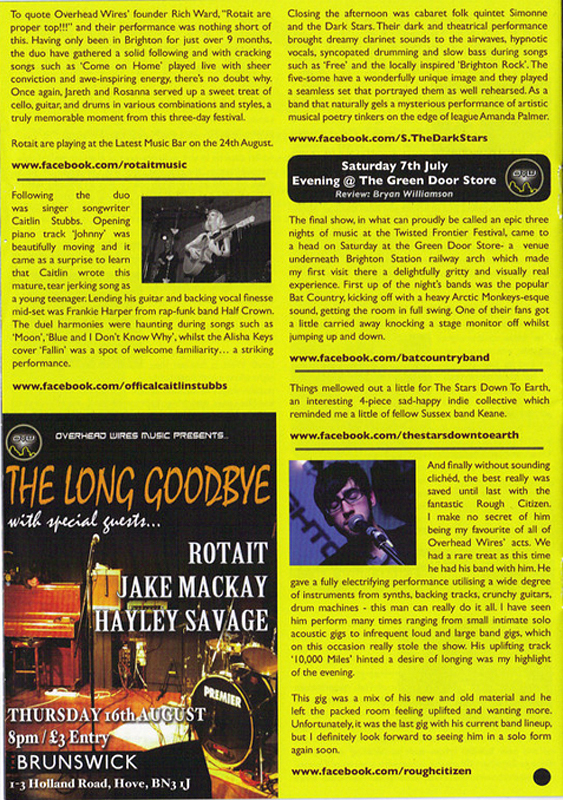 Reviews of "Twisted Frontier 2011" at The Lectern and "This Is The Last Epicentre" at Three Graces. Interview with Richard Ward to preview "Livewire 2" at The Greenhouse Effect and Overhead Wires' background. Preview of "Livewire 2" at The Greenhouse Effect. Preview of "Livewire 1" at The Providence and Overhead Wires' background. 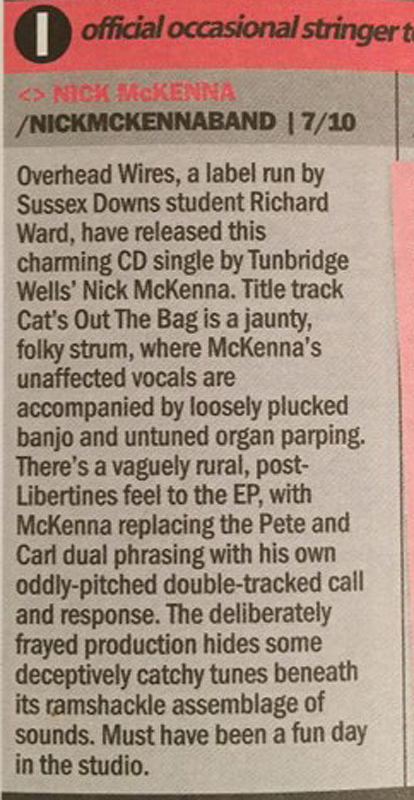 Review of our first single release - "Cat's Out The Bag" by Nick McKenna.